It was billed as the biggest event in the galactic centre since we discovered that the Milky Way harboured a supermassive black hole. 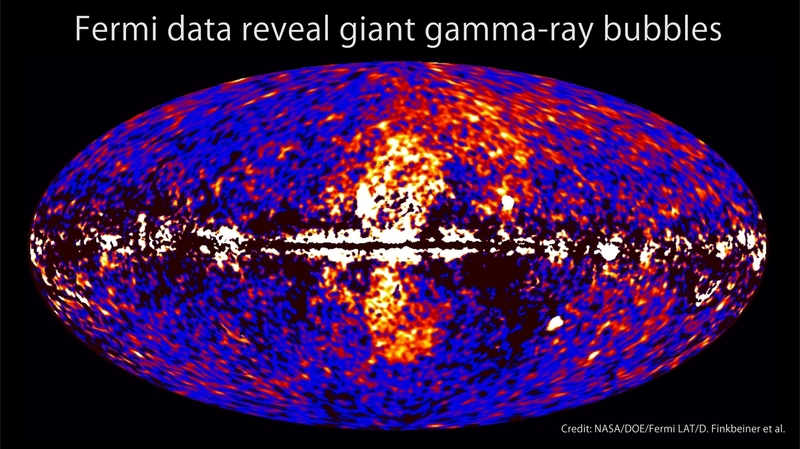 The G2 gas cloud, discovered in 2011, was found to be heading directly towards the black hole. Given the estimated mass – a few Earth masses of gas – there was no way it could possibly survive the passage intact. Immediately theorists set to work computing the likely shredding of the cloud as it reached it’s closest approach. Most simulations predicted a spectacular breakup, leading to some gas being “eaten” by the black hole. Since accretion onto black holes is one of the most energetic processes in the universe, everyone got excited about the possible “waking” of the sleeping giant at the galactic centre. The “burps” from the last time the Milky Way’s black hole started feasting are now as big as the galaxy itself. NASA/DOE/Fermi LAT/D. Finkbeiner et al. The G2 story started in 1992 when the cluster of S (for Strange) stars were discovered orbiting the supermassive black hole. Since then several groups of astronomers have been carefully tracking the motion of these stars, making for some amazing time-lapse movies of them whipping around in space, orbiting around an invisible “something”. Motion of stars around the Galactic Centre. These images/animations were created by Prof Andrea Ghez and her research team at UCLA and are from data sets obtained with the W M Keck Telescopes. One of these stars in particular, S2, orbits with a period of just 16 years in an ellipse with a closest approach of 120 AU (AU = Earth-Sun distance), indicating that it is orbiting a body with mass more than 3.5 million times the mass of the Sun but which is completely invisible at optical wavelengths! 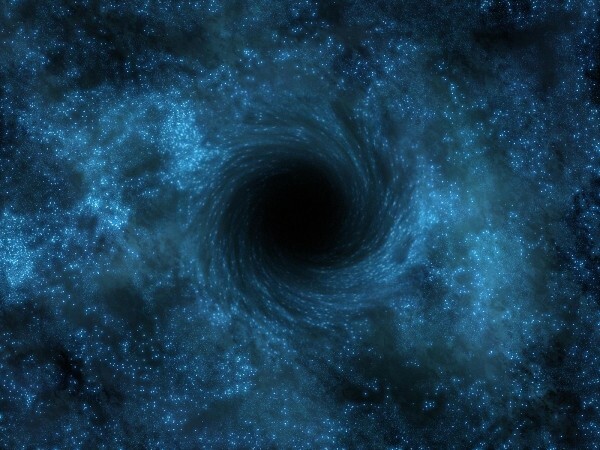 (This is our best argument yet that actual black holes really do exist). Given the amazing results that have been pouring from the research groups tracking the S stars, the subsequent discovery in 2011 of the G2 cloud heading right for the black hole was the icing on the cake. Closest approach was billed for the end of 2014. A vast array of the world’s most expensive telescopes were excitedly pointed towards the galactic centre to witness the fireworks. And, like a cancelled New Year’s Eve event in the pouring rain, nothing happened and everyone went home soggy and disappointed. Theorists hurriedly revised their calculations and heated debate ensued between the “it’s a star hidden by dust” and “it’s a gas cloud” camps. The key point being that a cloud consisting of just gas has very little gravity to hold itself together against the tidal forces of the black hole, whereas a cloud with an embedded star could easily hold together and come out the other side relatively unscathed. Nevertheless the observers were adamant that there was no star to be seen, and that a gas cloud it must be – there were even signs of the gas cloud “stretching” as it went through it’s closest approach. With the recent results from ESO published this week, the G2 saga rolls on. The fireworks are still off. Even the supposed “stretching” has not withstood further scrutiny. This means the gas cloud theory is becoming less and less viable, and the only conclusion is that, whatever G2 is, in order to survive the passage like it has it must be held together by the gravity of something more than a few Earth masses of gas. In one sense this is reassuring, as the gas cloud theory always had holes in it – for example the cloud would have had to appear right at the time it was first observed. The idea that it is a young star that somehow got knocked towards the galactic centre is much more consistent with what we already know about the other stars in the galactic centre and how they got there. We’re disappointed about the lack of fireworks – they’re postponed but not officially cancelled yet – but the attention and excitement focused on the galactic centre is certainly not misplaced – it’s a unique laboratory for understanding the galaxy we call home.